The IRI5300 offers outstanding imaging performance for night vision and surveillance applications. Featuring an uncooled high resolution 384x288 sensor, the camera combines the traditional Irisys features of performance, flexibility and minimal cost of ownership. With the option of compact enclosure and screw fit lenses, the module is designed to appeal to OEMs and systems integrators alike. Based on an advanced Silicon Microbolometer the imager’s 384x288 resolution puts it at the top end of its class with 44% higher pixel count than many of its competitors. 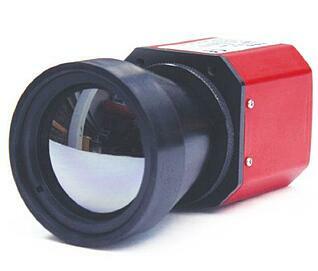 This allows fine pictures to be produced and maximises the detection capability of a small target at long range. Flexible controls through RS232 or RS485 allow the view to be tailored to suit the application including colour palettes, polarity and digital zoom, pan and tilt. Published protocols allow OEMs to integrate the camera commands with their control systems. Picture response schemes include Automatic Level/Span (gain/contrast) and Advanced Histogram to provide a consistent background for applications using Video Content Analysis. For specialised applications, manual controls are available including level/span, and shutter. The IRI5300 is designed for ease of physical integration; the standard case module features a small footprint and industry standard connectors. The compact version offers OEMs a shorter case and miniature connectors for applications where space is at a premium. For more information about thermal imaging security solutions, or thermal imaging for night vision surveillance, download the IRI 5300 datasheet.